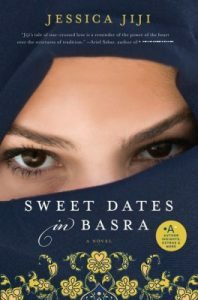 Jessica Jiji’s Sweet Dates in Basra is a compelling, poignant, and unforgettable tale of friendship and family, set in Iraq during the second world war. A dramatic departure from Jiji’s previous novel, Diamonds Take Forever, Sweet Dates in Basra brilliantly captures the atmosphere of a volatile Middle East during the previous century and pays tribute to the lost traditions of a once-idyllic world. This book is about different religions and social classes during World War 2. From the perspective of a muslim girl, Kathmiya and a jewish boy, Shafiq shows that men and women think differently even when a war is going on. Jessica Jiji shows how a woman’s mind like Kathmiya is always thinking about finding a husband and a life beyond poverty while Shafiq is in love with Kathmiya, he’s also being cautious of the dangers in Iraq, he worries about his safety. Shafiq also has a brotherhood friendship with his neighbour, Omar. This book will make you reflect on yourself, family and it makes us appreciate our friendship with our friends even more. The ending is just heartbroken, poor Kathmiya. Wanna know what will happen to Kathmiya and Shafiq? Get this eBook now!